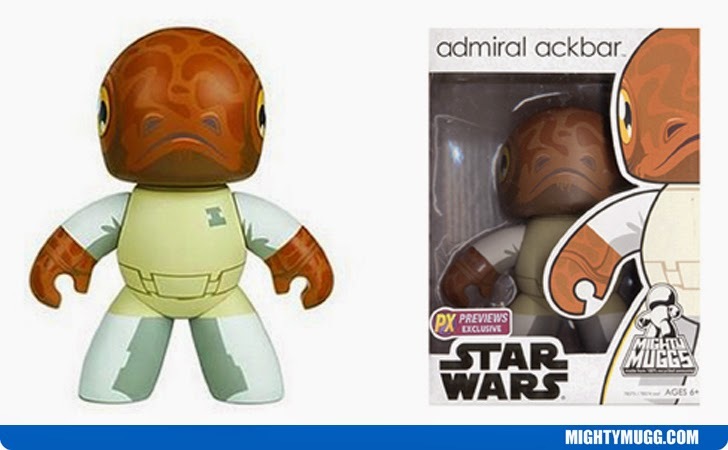 Admiral Ackbar is from the Mon Calamari species and a military commander affiliated with the Rebel Alliance. He first appeared in the film Star Wars: Episode VI - Return Of The Jedi in 1983. Actor Erik Bauersfeld voiced the character in the film. The Mighty Mugg above portrays him in his typical white and cream suit.